Fill out our simple form and get quotes from local marquee flooring suppliers. Marquee flooring for any surface and any event. Just like your marquee and just like your event, your marquee flooring will be tailored specifically to suit your requirements. Find marquee flooring hire in your area and submit a quote request form online here. We use Dandydura or natural fibre coco matting pinned to the grass on which is clean and durable. Get in touch to hear more. We are a family run business based in Clacton on Sea, Essex. 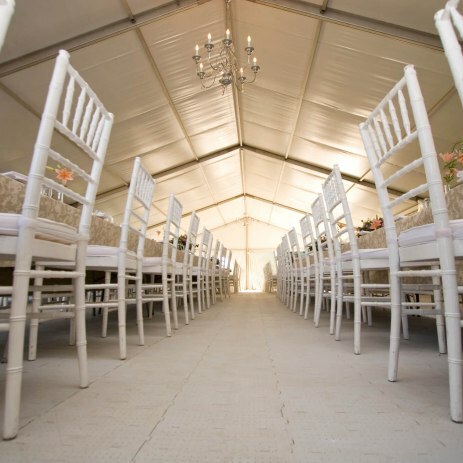 We offer two types of marquee flooring which enables you to keep within your budget. Luxury carpet, tiles, matting and even artificial grass - whatever it is you have in mind, there’ll be a marquee flooring supplier that can find the solution for you. Sometimes you need a practical solution, and some events need marquee flooring that’s going to match the decor, fit in with a theme or offer an impressive result. As the British weather becomes even more unpredictable it’s imperative that the flooring of your marquee does its job, not only to keep everyones shoes mud free, but to be waterproof, safe and attractive. There’s also a range of options for sloping sites, so marquee flooring can be built using scaffolding if ground is uneven or hilly. Perhaps you need a range of marquee supplies, including the tent itself, or perhaps you just need the marquee flooring, either way find what you need here.